Healthy Family Connections is a three-tier program designed to prevent child abuse by promoting positive interactions by building on parents’ strengths and helping to link high-needs families with the resources they need to create a safe and nurturing home environment. Welcome Home Baby – a short-term intervention with the new mother; consisting of one to two visits in the hospital, and one visit in the home. Healthy Families Needs Assessment – a short-term (30-90 days) in-home assessment and intervention with those families who are considered to be high-needs. Healthy Family Connections – a long-term, in-home visitation program helping families with children to ensure a safe and nurturing home environment. Available to families who live in Jackson County, MO. Must be expecting a baby, or have a baby 3 months or younger to be eligible. For ages prenatal to three years old. Healthy Start offers services and support for mothers, children and their families before, during and after pregnancy. Give your baby a Healthy Start. Community health workers will provide help signing up for health insurance and finding a doctor for mom and baby; setting goals for a healthy lifestyle; parenting education for mom and the father of the baby; referral and resource information for breastfeeding support, nutrition counseling, food and housing assistance and job training programs. Our staff are people who know your community, speak your language and respect you. Rachel House provides free pregnancy tests, free ultrasounds, and abortion education in the Kansas City area. They do not provide or refer for abortion services or to abortion clinics in Kansas City. If you’re pregnant and considering abortion in Kansas City, visit Rachel House before you decide. This agency provides free and confidential pregnancy testing, emotional support, guidance and practical assistance to pregnant women. Childbirth classes, as well as labor and post-partum support, maternity and baby clothing, and referrals for medical care, adoption, legal advice, professional counseling, emergency and housing assistance. Limited transportation, no residency requirements. This agency provides case management and other services needed to promote healthy maternal and child outcomes. They can help arrange medical care, legal information, housing, provide counseling, basic support services, parenting and adoption options. This agency offers transportation and health education for pregnant women in Jackson County. Transportation is provided to tests/appointments at: Richard Cabot Clinic; Swope Health Services; Samuel U. Rodgers Community Health Center; Truman Medical Center; Children’s Mercy Hospital. Prenatal parenting workshops, assistance with diapers and formula after delivery. This agency provides housing, individual and group counseling, parenting classes, life skills classes, teen advocacy and support for pregnant teens. Must be pregnant and between the age of 11-19. This agency offers confidential pregnancy tests, family planning, birth control, HIV and STD testing, sexuality education, abortions, and morning-after treatment. Hours vary by location and fees are on a sliding scale (with MC+ and BCBS insurances accepted). WIC provides supplemental food vouchers, support for breastfeeding, health and nutrition screenings, nutrition counseling, and infant formula vouchers. Must be low income, be breastfeeding or post-partum. Serves infants and children up to the age of 5. Persons applying must present a valid ID, MC+ card (if available) proof of income and immunization records for all children. Offers supplies depending upon donations. Pregnancy tests, maternity clothing, etc. Open Monday, Tuesday, Thursday, Friday, Saturday 10am-1pm and Wednesday 4pm-6pm. 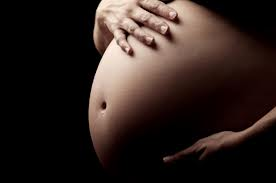 For young pregnant ladies aged 12 – 21 who need a safe place to stay while pregnant, we offer full residential services. All residential services are provided free of charge.